n these busy times, everyone is looking for the fast fix, easy but still nutritious recipe. They are also looking to stretch their food dollar as far as possible. 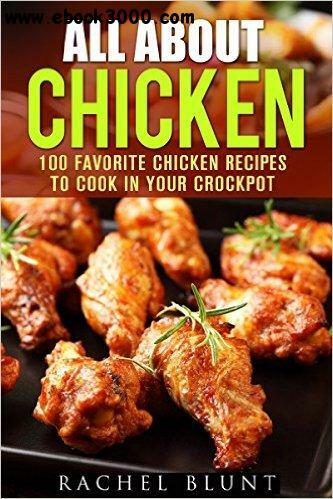 Thankfully the food you need is the ever so versatile chicken and the magic wand that you need to transform that bird into amazing dishes night after night is the crockpot. Here we have a book that gathers some of the best of traditional, exotic, spicy and even some more elegant dishes all with very little hands-on time and all guaranteed to have your family begging for more. Learn how to get your food ready in the morning and off to the races while you are at work or running errands. Stretch your food budget by making even cheaper cuts of chicken taste like the more expensive breast. Learn how you can even make a traditional Sunday dinner with the same level of effort you use to order food on a Saturday afternoon. Learn company worthy recipes, family favorites and some updates to classics that will make you glad to be in the kitchen. Learn how to double or triple recipes so that you have a whole week's worth of meals from one cooking and never have to eat the same stuff twice. Whether you are a busy single, a new couple or a growing family, these recipes will be sure to please.